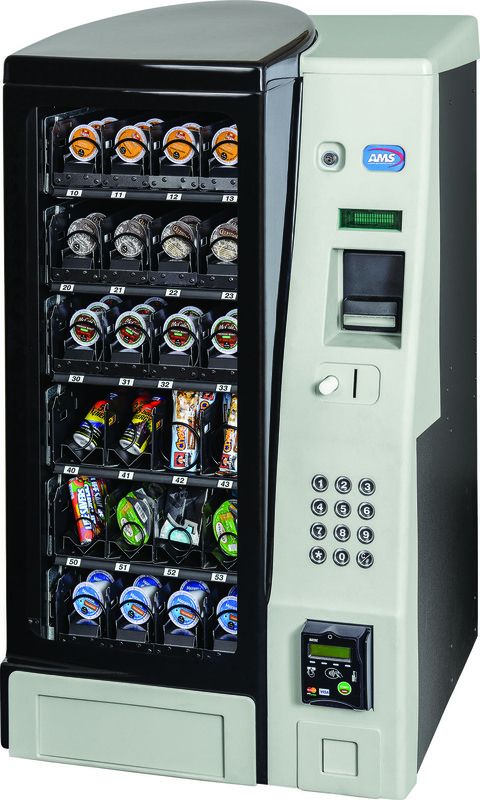 First presented by AMS in 2015, MicroVend is one of our most popular vendors. Customers love its countertop size and the option of vending all today’s popular small items. 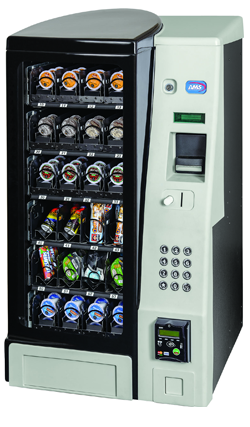 The MicroVend is built in our AMS plant with the right choices of state-of-the-art manufacturing materials as well as an economy of construction. You’ll come to depend upon this versatile, compact, and cost-effective merchandiser. Vends all the favorite single-serve coffee containers and individual creamers. Accommodates small energy drinks and will accommodate virtually any small item the market may offer. Countertop coffee operations in offices, kitchens or hotel lobbies. Six trays. If four are for single serve coffee or creamers, then two trays can hold lots of energy drinks or other bottled beverages.